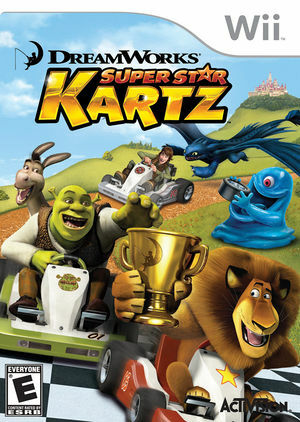 In DreamWorks Super Star Kartz players race as their favorite DreamWorks Animation characters as they speed, jump, power-up and boost through wacky, wild and wondrous kart courses and compete to be the first to cross the finish line. Amazing stunts, awesome tricks and unique weaponry lets players outrace and outwit their opponents all while enjoying hilarious commentary by King Julien, the game’s announcer. Racers can put the pedal to the metal with multiple game modes including Battle, Circuit and Time Trial. Friends are invited to compete with up to 4 player split screen capabilities on consoles. This title requires Texture Cache Accuracy set to the Safe position, or menu text may be scrambled. Refer issue 10705. The graph below charts the compatibility with DreamWorks Super Star Kartz since Dolphin's 2.0 release, listing revisions only where a compatibility change occurred. This page was last edited on 5 March 2018, at 08:03.